My three-year-old daughter received a beautiful dollhouse from her grandpa for Christmas, and while the exterior is stunning, the interior is a blank slate just begging for the attention of an interior designer (read: me). I’ve been obsessing over all of the gorgeous handmade dollhouses and DIY decor I’ve found on Pinterest, and I can’t wait to get my craft on to make this special gift truly one-of-a-kind for my little girl. Here’s what’s inspiring me. I’d love to know—do your kids have a dollhouse that they love? Was the decor a DIY endeavor for you too? 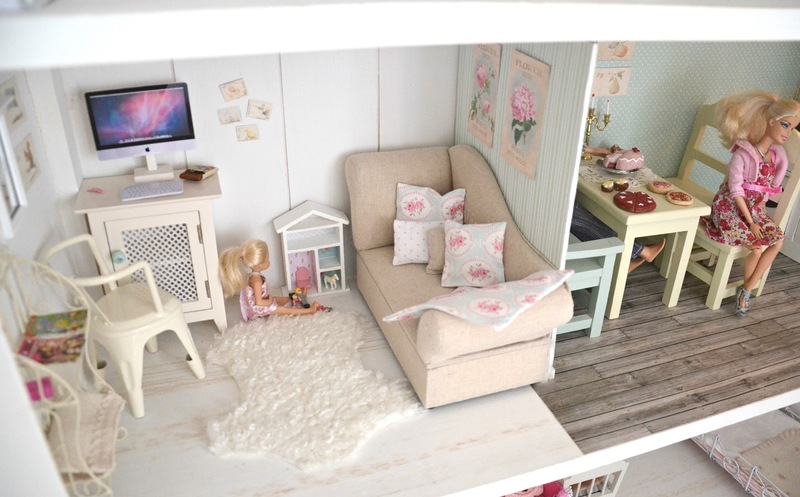 Where did you find your dollhouse inspiration?